Cloud-based mobile parking technology startup Get My Parking has acquired Bangalore-based parking subscription firm Constapark, a company statement said. With the acquisition, the founders and team of Constapark will join the office of Get My Parking, the statement added. “We value the immense experience that the Constapark team brings to the table, especially now that we are expanding our footprint both domestically and globally,” Chirag Jain, chief executive of Get My Parking, said. The acquisition comes after Get My Parking raised $3 million in a Series A round from its existing investors Indian Angel Fund, which invested from its eponymous IAN Fund, venture firm Beenext and others in September 2017. The firm has raised $4.5 million in total so far, the statement said. In February 2017, the startup secured $1.1 million (Rs 7.35 crore) in a pre-Series A round from IAN, Beenext, The Chennai Angels, and Hero Corporate Services chairman Sunil Munjal. Delhi-based Agile Parking Solutions Pvt. Ltd, which runs Get My Parking, was founded in June 2015 by Jain, an IIT Madras alumnus, and Rasik Pansare, an FMS Delhi alumnus. It provides users with an Internet of Things (IoT)-based smart parking platform which digitises any type of parking space. Its mobile app provides information about legal parking lots and allows users to search, book and navigate relevant parking areas. Besides, parking management systems and mobile applications, Get My Parking has city dashboards and enforcement applications for government authorities, revenue analytics for contractors, application programming interface for mobility providers and hardware integrations with original equipment manufacturers. The integrated IoT platform connects all these solutions and their stakeholders together. Since its inception, Get My Parking’s team has grown to 65 members with offices in Delhi and Bengaluru. It claims to have digitised more than 300 parking locations that process two million parking transactions monthly. The firm has worked on projects like Maha Kumbh Mela in 2016, where it digitised 400 hectares of parking space in Ujjain for 200,000 car spaces. The company also has two projects outside India and is hiring across technology and business profiles for international growth, the statement said. Constapark was founded by Chetan Chauhan and Mehul Pangtey in 2015. Run by Kodikas Technology Pvt. Ltd, the Bengaluru-based startup claims to have managed 30,000 parking spots on its platform and parks 4,000 vehicles on a daily basis across Bengaluru. It implemented street parking management for Electronic City in Bengaluru and subscription and ticketless parking for Bangalore Metro Rail Corporation Limited (BMRCL). 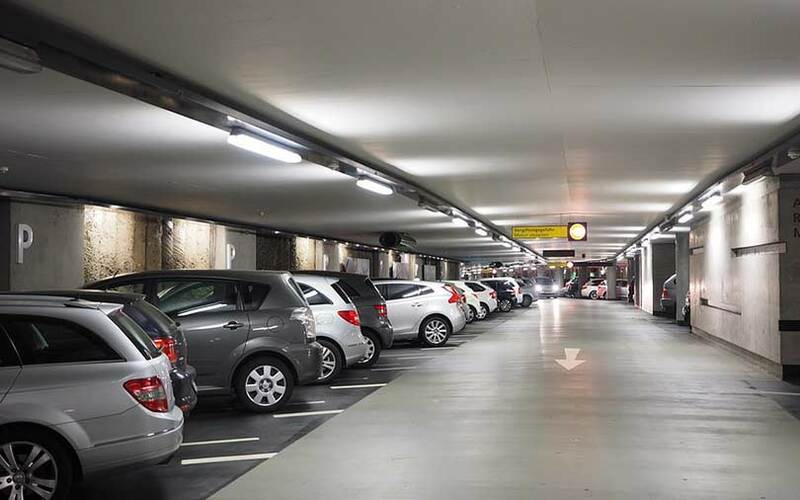 Other startups that offer mobile-based parking solutions include Peazy, which in October 2017 raised pre-seed investment of €100,000 ($117,000 or Rs 76 lakh) from Dutch accelerator Rockstart. As part of the deal, the startup shifted its base to The Netherlands. In January 2017, VCCircle reported that Bengaluru-based parking solutions app PParkE secured its seed funding from Singapore-based early-stage investment firm SB Ventures.